Ce document au format PDF 1.3 a été généré par Microsoft Developer Studio / htmldoc 1.8.27 Copyright 1997-2006 Easy Software Products, All Rights Reserved., et a été envoyé sur fichier-pdf.fr le 22/08/2011 à 22:09, depuis l'adresse IP 41.250.x.x. La présente page de téléchargement du fichier a été vue 3979 fois. Taille du document: 3.9 Mo (177 pages). default this will be C:\Program Files\GlobalMapper8) and unzip the contents of the zip file to that directory. not all of the features available through a registered version of Global Mapper. software. Please refer to this site to obtain the latest copy of the software. http://www.globalmapper.com by following the Download link on the left side of the main page. and select any defaults it asked for. • You will be unable to export data to any format. any number of data files simultaneously. • You will be unable to view loaded elevation data in 3D. • You will be unable to load workspaces. • You will be unable to do line of sight calculations using loaded elevation data. • You will be unable to perform view shed analysis using loaded elevation data. • You will be unable to perform cut-and-fill volume calculations using loaded elevation data. • You will be unable to work with map catalogs. • You will be unable to download data from WMS map servers. • You will be unable to save rectified imagery to fully rectified files. 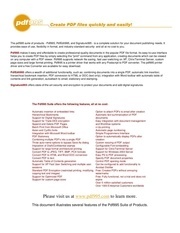 • You will not be able to print to a specific scale (i.e. 1:1000). • You will have to endure a nagging registration dialog everytime that you run the program. • You will not be eligible for free email support. 1 shows the program Menu Bar and Toolbar as they appear at startup. files will be displayed in the current projection/datum. specify how the text file(s) are formatted so that they can be imported. single point feature to be generated. will result in a line or area feature. All isolated coordinate lines will result in a point feature. after setting up the ASCII file import options to allow setting up the gridding process. coordinate lines with the sequence &quot;XY,&quot;. point features imported from the file. selected, only lines from the file that are not determined to contain coordinate data will be used as attributes. in the first line from the file will be used at the names of attributes for attributes found in coordinate data lines. This is useful for things like CSV files. column is an attribute that occasionally contains all numeric values, such as well names. each coordinate will be multiplied by the scale factor. names will be used as the feature description. listed above will be used to attempt to assign a classification other than the default for each feature. will be used as the feature's elevation. (including any custom symbols). If a match is found, that symbol will be used for the point feature. pixels of the dot or square, and the [RED], [GREEN], and [BLUE] values represent the color to use. specific fill or line color, it will be used. out for the COLOR attribute in order to be recognized. for the pen used to draw line features. used to draw line features. Valid values are Solid, Dash, Dot, Dash - Dot, Dash - Dot - Dot, and Null. has at least three vertices. displaying the display label, if any, for this feature. attribute in order to be recognized. any, for this point feature. label, if any, for this feature. These correspond to the Windows character set enumeration. here for more documentation on the supported fields. published on a WMS server. Globe imagery, which is not free). Note that this feature requires Internet access to work. around an address, specify a lat/lon bounds explicitly, or select to download the entire data source. export sample spacing will be used to obtain the source data for the export. such as forcing a particular image format to be used, add those parameters after the Service Name parameter. to load. Simply separate the masks with a space. any available ECW file served by Image Web Server. comes with several dozen useful links already entered into the tree. Web Link dialog (pictured below) to be displayed. cause the new link to appear at the root level of the tree. displayed for the link on the main dialog. Leaving this blank will cause the URL to be displayed instead. file served using ER Mapper's Image Web Server software. entry and have it added to the web link tree in the Load Image From Web dialog. web links cannot be edited. Pressing the Delete Link... button will delete the currently selected web link or group from the web link tree. size and position of the data relative to the screen/export/printout. The Unload All command unloads all overlays and clears the screen. time and memory requirements for working with very large collections of data. layers are loaded for display. how to handle dynamically streamed TerraServer data, and other options. latitude/longitude coordinates (the &quot;Geographic&quot; projection) with the WGS84 datum. BT (Binary Terrain) format file. the loaded data they wish to export. the portion of the loaded data they wish to export. appended to each filename as it is exported. loaded data they wish to export. that do not specify the DXF mesh format. data sets to an Erdas Imagine file. of the loaded data they wish to export. slope values (in degrees) rather than elevation values at each sample location. data they wish to export. Bounds panel which allows the user to set up the portion of the loaded vector data they wish to export. data will be compressed using the PackBits compression algorithm. option, but the colors in the image will exactly match what you see on the screen. desired value at &quot;HKEY_CURRENT_USER\Software\Global Mapper\JpegInTiffQuality&quot;. can reverse this by selecint the Grayscale - Min Is Black palette option. if you know it works. so only use this if you know it works. • Grayscale Palette - This palette consists of 256 scales of gray ranging from black to white. consists of only the standard DRG colors. • Halftone Palette - The palette consists of a blend of 256 colors evenly covering the color spectrum. This palette is the best choice when exporting anything but DRGs and grayscale satellite photos. press Options, then the Transparent Color button, then selecting the option to save a color palette file. with a value of 255. The Vertical Units field allows the user to select the vertical units to use when exporting elevation data (i.e. meters or feet). Any input data not in the selected vertical units will be automatically converted on export. Spacing in Other Units button. for printout. Specifying the default value of 0 will result in the DPI tag not being saved to the TIFF file at all. show up in the main display. the main display will be saved to the GeoTIFF file (except vertical GeoTIFFs). placement of the GeoTIFF file directly from the GeoTIFF header. or small holes in elevation data. LZW, using this compression method is definitely suggested. store your gridded elevation data in, we suggest using the Global Mapper Grid format. the HTML file however you need to. DEMO symbol across the image. Registered users will not see that symbol on their output. to an HF2/HFZ format file. imagery within a single highly compressed JPG2000 file. file from loaded vector data, use the File-&gt;Export Vector Data-&gt;Export KML/KMZ menu command instead. 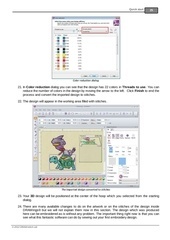 (recommended) and whether or not to render and save loaded vector data. Leveller Heightfield file for use with the Daylon Leveller application. Optimi Terrain format grid file. These terrain files can be used with applications from Optimi. grayscale grid file. These grid files can be used with any software application that supports PGM files. PLS-CADD XYZ format grid file. These grid files can be used with the PLS-CADD software application. The Export PNG command allows the user to export any loaded data sets to a PNG file. for use with some CAD systems. sets to an ASCII format Surfer Grid file. be smaller than their ASCII-format cousins, so if you can use the binary format I would suggest it. sets to a Vulcan3D triangulation file. VRML file for display in a VRML viewer, such as the Cortona VRML Client. set up the portion of the loaded data they wish to export. create both the image tiles and a sample HTML file for displaying the data with the Virtual Earth interface. customize the HTML file however you need to. Bounds panel which allows the user to set up the portion of the loaded data they wish to export. Config\Earth folder under your World Wind installation folder in order for it to be picked up by World Wind. Zmap Plus Grid format file. Bounds panel that allows the user to set up the portion of the loaded vector data they wish to export. user to set up the portion of the loaded vector data they wish to export. whose Global Mapper classification could not be automatically mapped to one of the CDF attributes. point data they wish to export. panel that allows the user to set up the portion of the loaded vector data they wish to export. panel which allows the user to set up the portion of the loaded vector data they wish to export. exported DGN file is viewed in an application that uses a black background. DLG-O (Digital Line Graph Optional format) file. Export Bounds panel which allows the user to set up the portion of the loaded vector data they wish to export. based on the currently loaded data. The user is free to change the values to fit their needs. do not have a display label will use the feature description as the layer name in the exported file. name as the DXF file with the .prj extension. features in the exported DXF file. Earth-Fixed (ECEF) XYZ coordinate values rather than XY values in the current export projection. as MicroStation which has problems with lines of non-zero thickness. Garmin's MapSource&amp;reg, to facilitate transferring track logs to a GPS unit. of the loaded vector data they wish to export. Garmin's MapSource&amp;reg, to facilitate transferring waypoints to a GPS unit. sets to a GOG format file. loaded vector data they wish to export. to a GPX (GPS eXchange Format) file. format file for use with Google Earth. areas that do not display in the correct order without this option checked. only way to get line or area features to display labels in Google Earth. the loaded vector data they wish to export. clouds loaded from other LAS files) to new Lidar LAS format files. USR format file for use in Lowrance brand GPS devices. set up the portion of the loaded vector data they wish to export. The Export MapGen command allows the user to export any loaded vector data sets to a MapGen format file. the portion of the loaded vector data they wish to export. 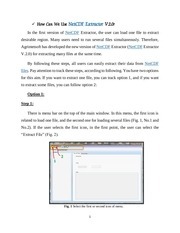 The Export MatLab command allows the user to export any loaded vector data sets to a MatLab format file. 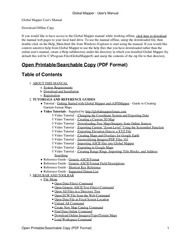 format file that can be used on many shipboard radar displays. Digitizer ASCII format file. These files can be used with several applications. PLS-CADD XYZ format file. These files can be used with the PLS-CADD software application. Garmin unit as a new map. maps for Garmin GPS units. Ce fichier a été mis en ligne par un utilisateur du site. Identifiant unique du document: 00063675.